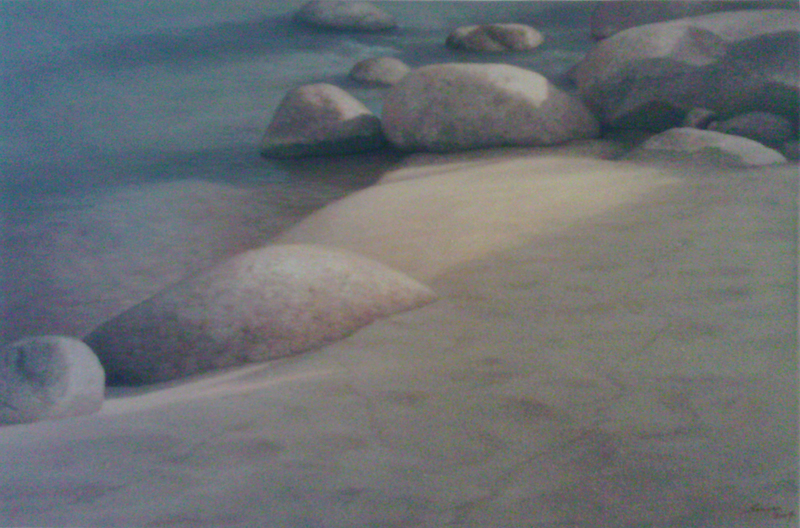 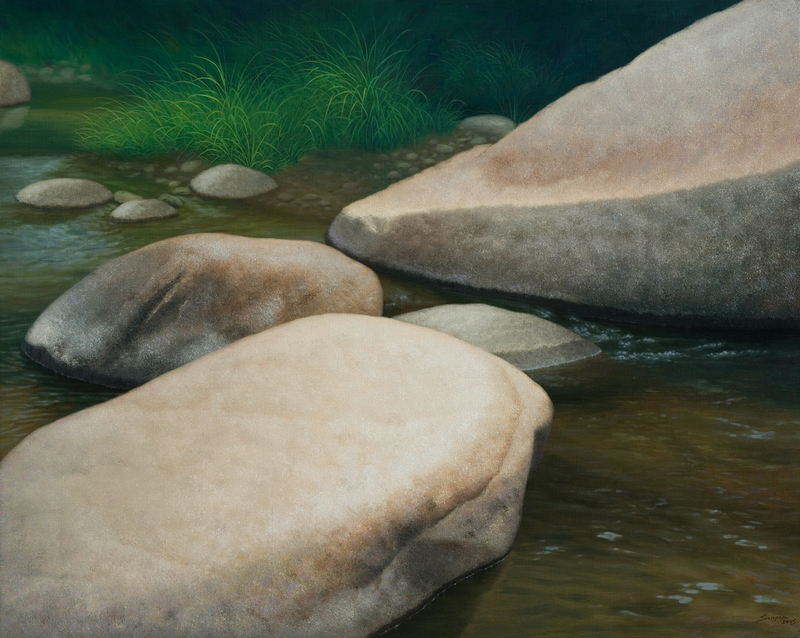 Realistic painting earns its popular character for being accessible and not too difficult to comprehend. 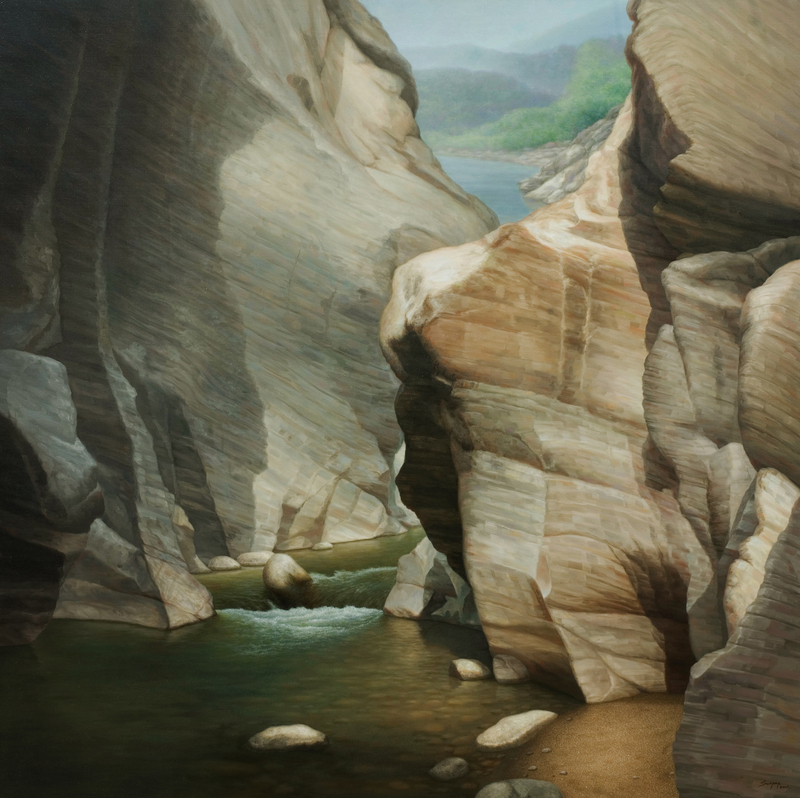 It’s a form of art that is touchable, personally integrated and straightforwardly reflective to reality, which is probably why Somphop Saengprom’s realism works have always been popular and interested among both rookie and veteran art spectators. 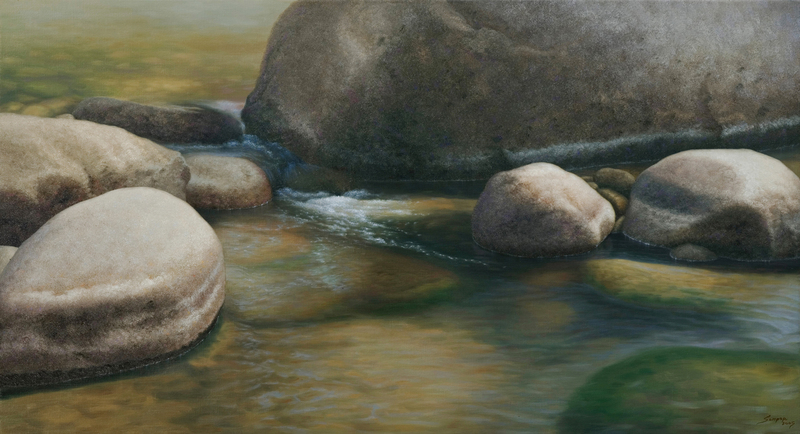 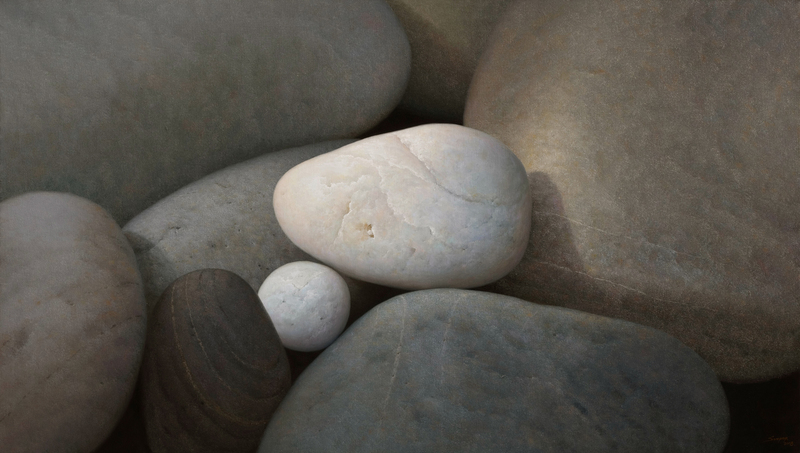 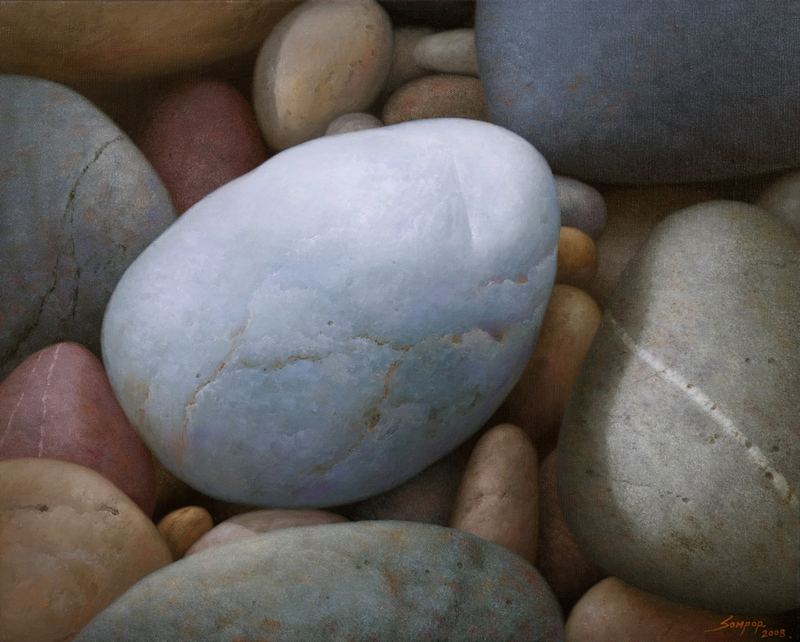 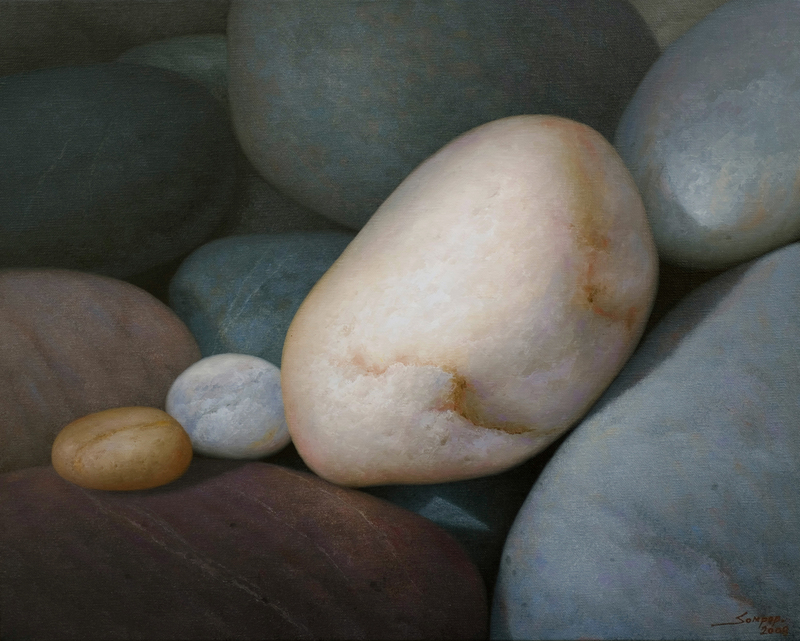 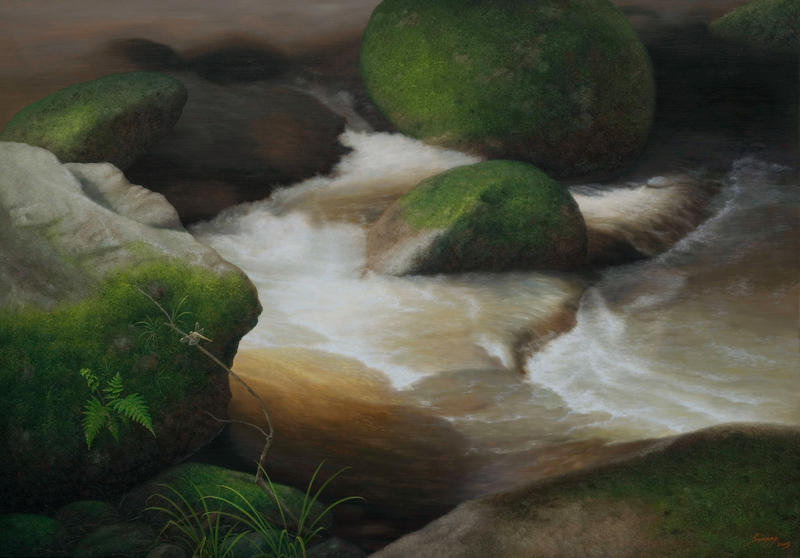 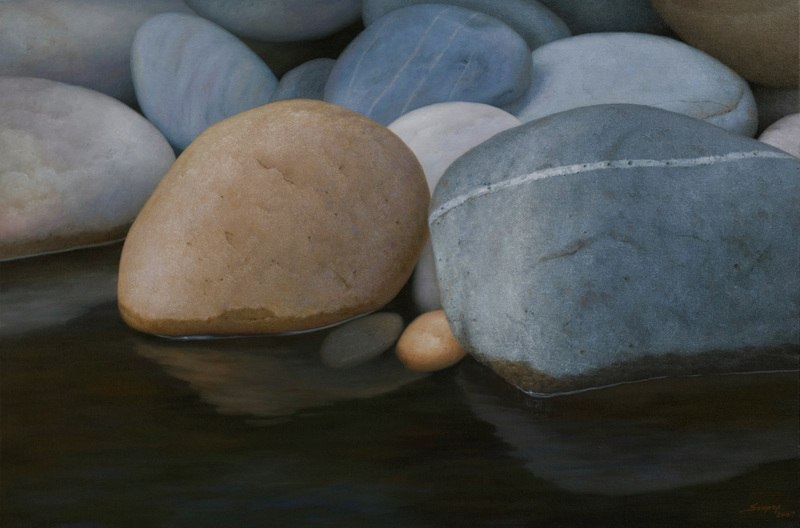 Sompop is back with even more intensified experience and skills in his latest solo exhibition, ‘The Graceful Contradiction’, depicting images of crystal clearly detailed paintings of rocks and pebbles in the creek with sparkling tide flowing through. 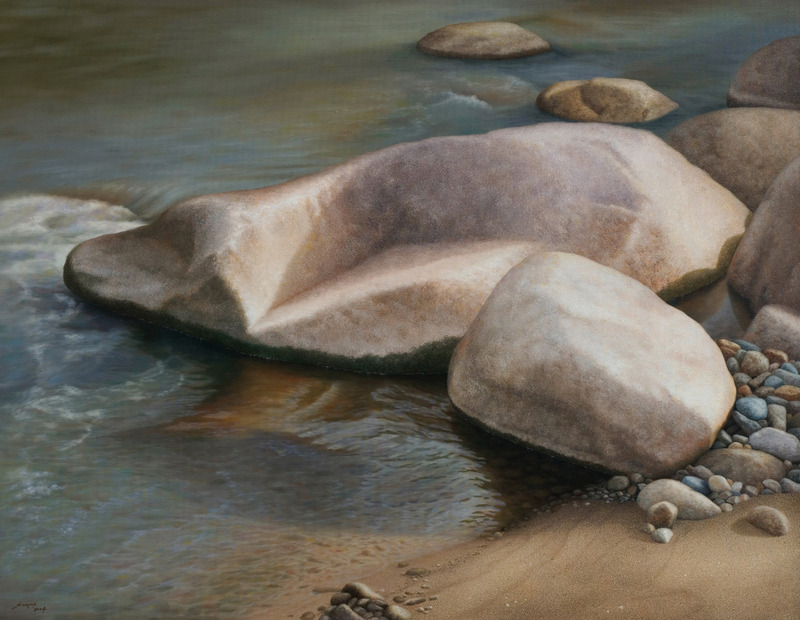 Fitted in the perfect composition, the artist brilliantly creates the vision of maidens with delicate gestures among the surrounding nature, where rocks, waving tress and silky tide are combined from the difference, yet harmoniously composed, of beauty.